Piston Type Tube Filling Machines|Tube Filling Machines|manufacturers and suppliers in Mumbai, India. Supplier & Manufacturer of Piston Type Tube Filling Machines. Our product range also comprises of Heat Shrink Tunnel Machines, Shrink Tunnel Machines and Shrink Tunnel Heavy Duty. 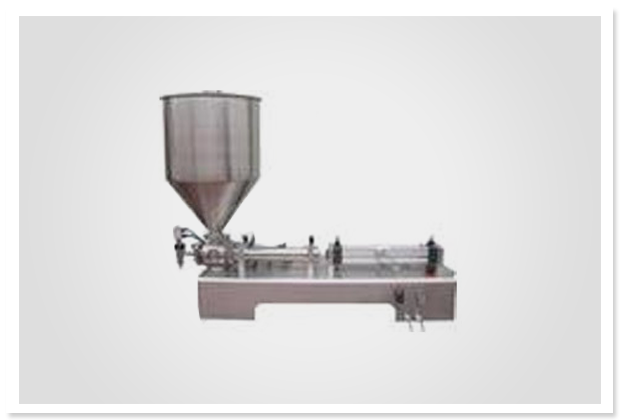 We bring in for our clients Piston Type Tube Filling Machines that have a syringe pump housing and rotary piston filling device and pneumatic tail cut-off system. These machines have a high filling speed of 40 to 50 tubes per minutes. Further, our range of machines are provided with stainless steel spring loaded change part 12 nos. nylon holders one tube size. Available in various shapes and sizes, these Piston Type Tube Filling Machines can also be custom made as per the clients requirements.